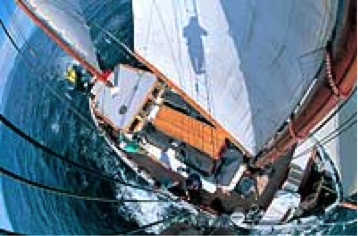 DUEN is a gaff rigged ketch and Norwegian in design. 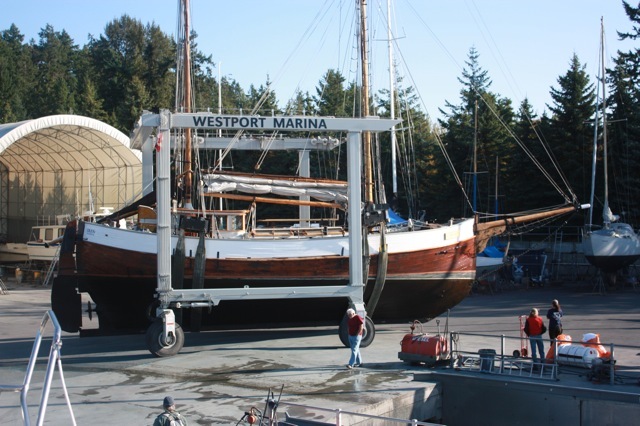 She is built of Norwegian pitch pine, constructed with 14cm (9") sawn frames and double planked throughout the mid-section, making her truly a solid heritage vessel. 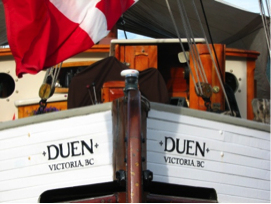 DUEN is certified as a Passenger Carrying Vessel by Transport Canada and inspected annually. 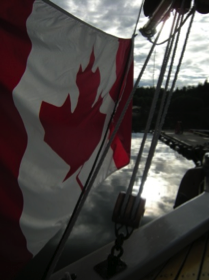 She holds current certification to carry up to 20 persons on day sail, 16 on overnight expeditions, and all navigation and safety equipment onboard exceed Canadian Marine Safety requirements. 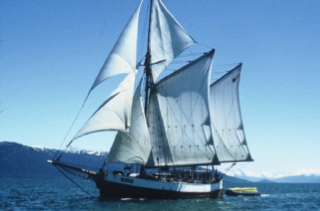 1939 – 1969: DUEN built as a fishing vessel in Flekkefjord, Norwegian pitch pine on oak and for 30 years fished the Iceland and Norway coast. 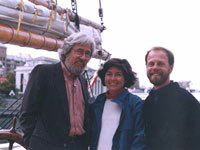 1971 - 1986: DUEN converted to her present rigging for world travel and explored the world oceans as a private lifestyle adventure of the Fletcher family. 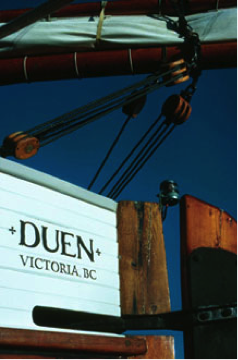 1986 - present: Under the careful supervision of Michael and Manon Hobbis, DUEN was equipped with a full range of navigational and safety equipment, to meet Transport Canada requirements. 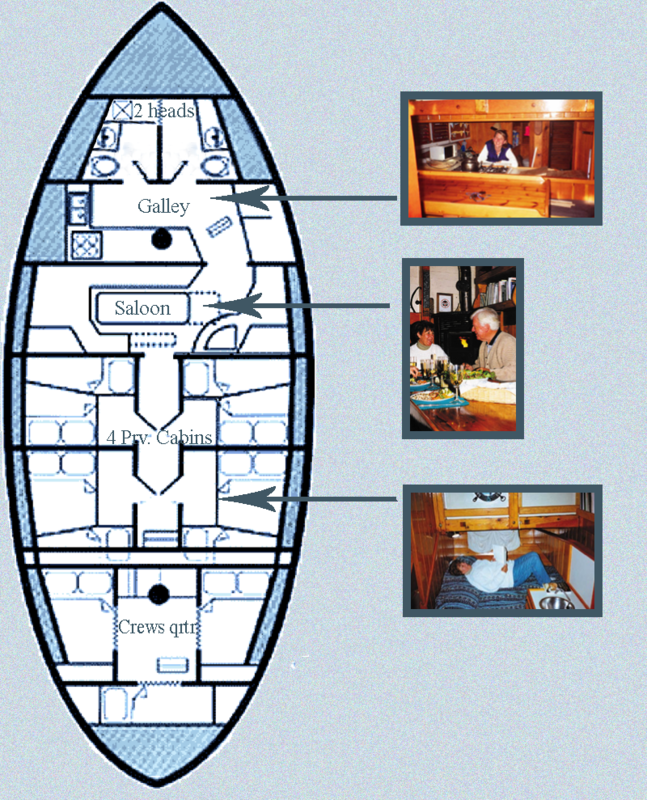 1993 - 1994: The interior of the vessel was completely renovated including new electrical system and new water tanks. 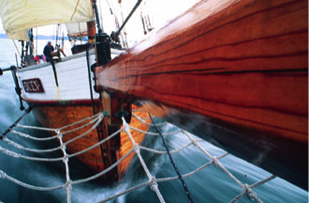 2000: New deck laid and engine replaced and upgraded. 2004: Radiating heating system installed and renovated heads (washrooms). 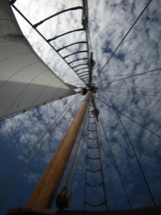 "Sailing is surely one of the world’s finest places with surely some of the world’s finest people – surely this is the way life is meant to be. The Duen – this ‘culturally modified Norwegian wood’ – a magical place. I am full of the deepest appreciation and admiration." “ Well here we are at the end of the best nine days of my life. At the start of this trip we were invited to join the "Duen family" and I now want a permanent adoption... 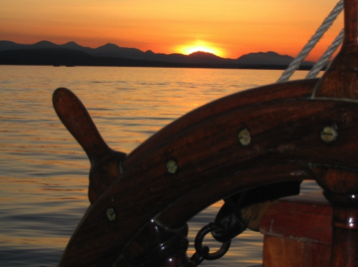 I can not begin to pick out the highlights, however the opportunity to learn about the Haida culture is at the top. 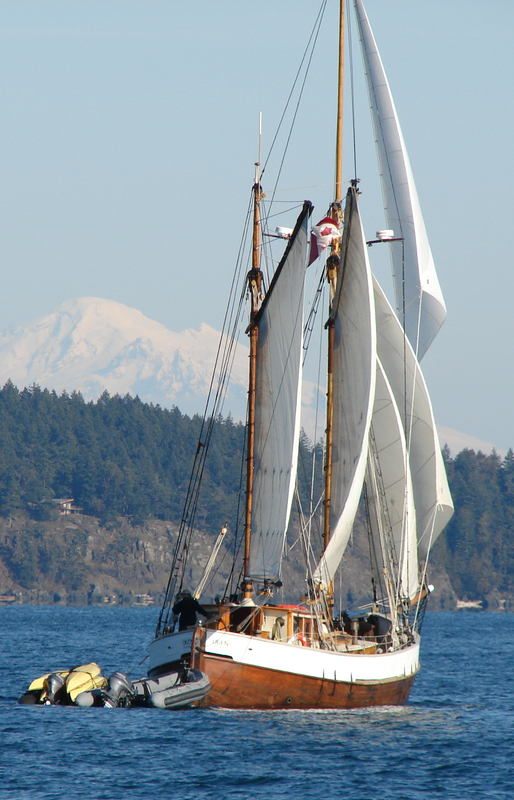 The Hecate Strait experience with Humpback & Fin whales was "unreal"